The FHA Loan program continues to evolve, and total mortgage insurance costs have risen. While the increase makes these loans less advantageous than in the past, they are still a good option if your needs and situation preclude you from qualifying for a conventional loan. Sellers can help pay closing costs, and borrowers can receive gift money towards their down payments. 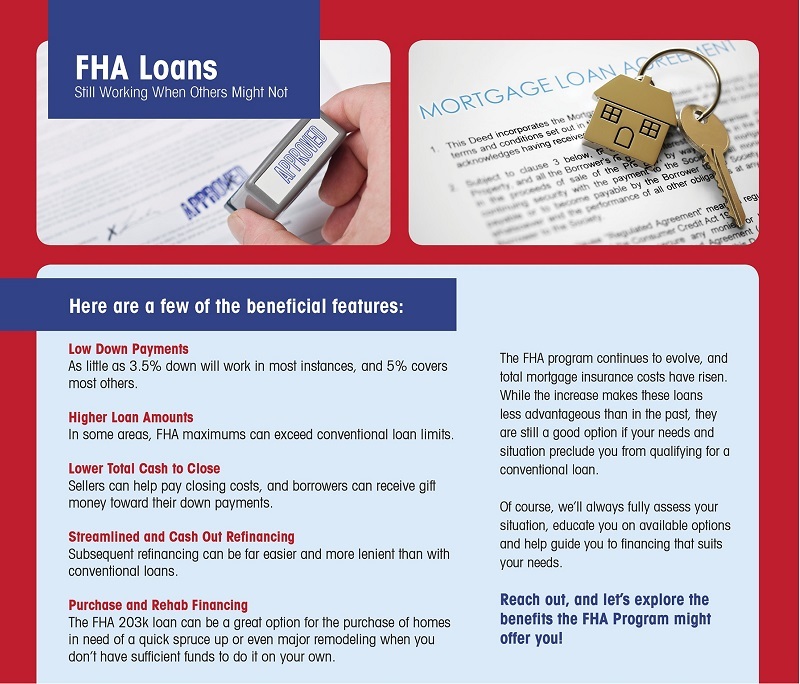 The FHA 203K loan can be an excellent option for the purchase of homes in need of a quick spruce up or even major remodeling when you don’t have sufficient funds to do it on your own.